The “loins of your mind” is our imaginations where ideas and pictures are birthed. We’re being instructed here to “gird” them up, to take control of what we’re creating with our minds. In verse 15, God instructs us to be holy as He is holy. In a nutshell, whatever our imagination and thoughts produce should be pleasing to God. Following this standard is a day to day challenge. One little picture we see could send our creative minds on a bunny trail from God’s truth to a fleshy little mental rampage. A frustrating incident or word spoken from someone else could get our minds thinking negative thoughts. What do we do when those temptations come? The Bible gives us clear instructions: “. . . casting down arguments and every high thing that exalts itself against the knowledge of God, bringing every thought into captivity to the obedience of Christ . . .” (2 Corinthians 10:5) In other words, we’re to tell the thoughts to get lost before they get a grip on our minds and stick there permanently. It’s like putting our brains through a bubble bath. After scrubbing our minds clean of unacceptable thoughts, it may seem like our minds are destined for emptiness. But God never intended us to be empty-headed. He wanted us to fill our minds with a list of pure thoughts, a list that drastically narrows down our thought life options! WHATEVER IS TRUE: Is the based on news that is honest and accurate? WHATEVER IS NOBLE: Is it fitting for a child of the King of Kings? WHATEVER IS JUST: Is it imagining what is right and innocent? WHATEVER IS LOVELY: Is it pleasant for us and others to think about? WHATEVER IS OF GOOD REPORT: Is it worth sharing with everyone we come in contact with? WHATEVER IS VIRTUOUS: Is it filled with God’s character? WHATEVER IS PRAISEWORTHY: Is it worth making a big deal about? The benefits of a clean mind go far beyond the temporary gratification of a dirty one. A clean mind can hear the voice of God clearly without fuzzy interference. It can stay undistracted when pondering the things of the Lord. An uncluttered mind can walk in peace when surrounded by chaotic news and negative conversations. It can make godly decisions quicker and more accurately because no worldly disbelief is there to hinder it. 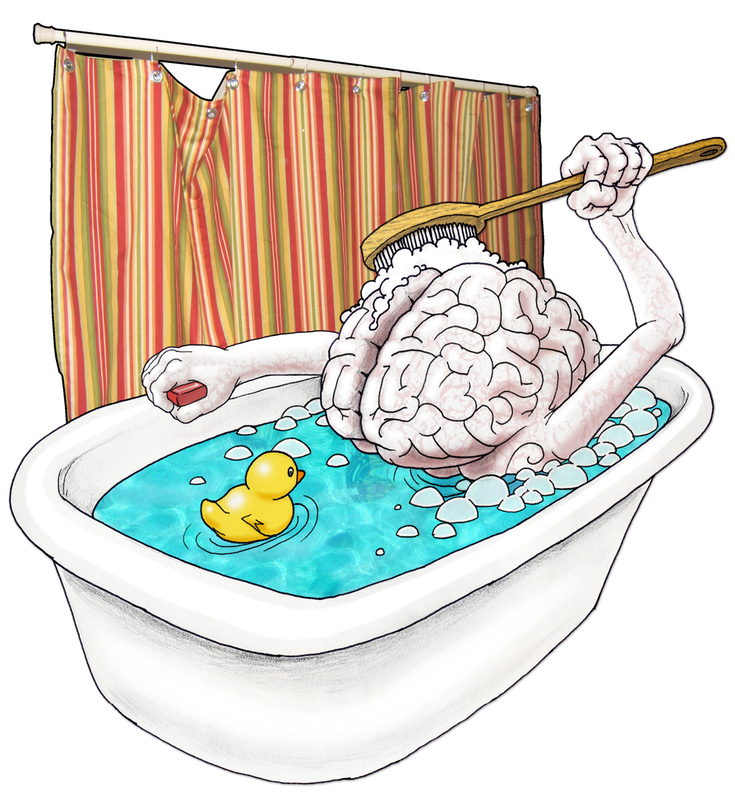 Without a doubt, incorporating God’s idea of a squeaky clean mind is well worth the effort!